Mini Atomiser Pink + Scented Juwel Heart Silver / 1 Stk. 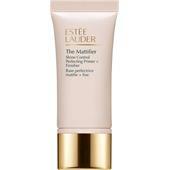 BP: €28.41* / 1 pcs. 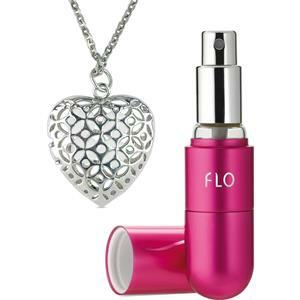 Mini Atomiser Pink + Scented Juwel Heart Silver / 1 Stk. Delight your loved one more often. For example, give them a fragrance jewellery gift set from Becker Manicure. The manufacturer is known for its fine hand at producing high-quality body care tools and performing excellent workmanship. With the gift set, this craftsmanship is skilfully combined with a feminine aura and wonderful-smelling perfume. The set includes a small, pink atomiser, which, thanks to its practical design, is also perfect for taking with you on journeys. On the front, you will see, embossed in white letters, the word “Flo” - the memorable name of this new range from Becker Manicure. The fragrance jewellery gift set from Becker Manicure is perfect as a small gift for your sweetheart, mother, or sister. The feminine design in a heavenly pale pink is guaranteed to delight women; the real piece of jewellery, however, is the unique pendant, which is also included in the perfume set. This comes on a small silver chain, and can thus be combined with both an elegant outfit and a current every day look. The chain itself features a pendant in the shape of a heart, which perfectly emphasises the feminine side of the wearer and is an attractive eye-catcher at a whole variety of occasions.